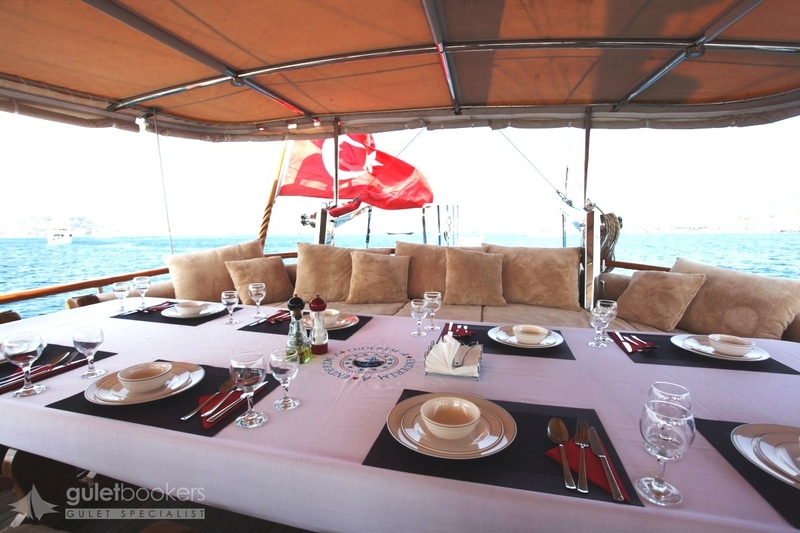 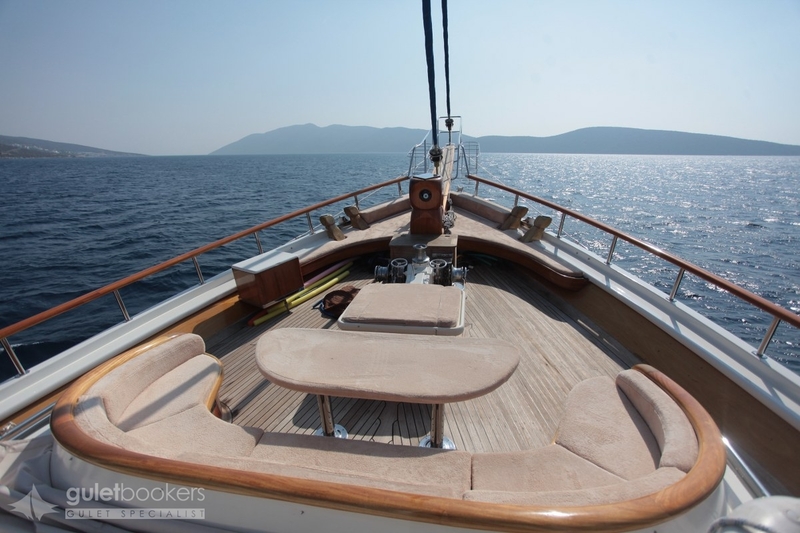 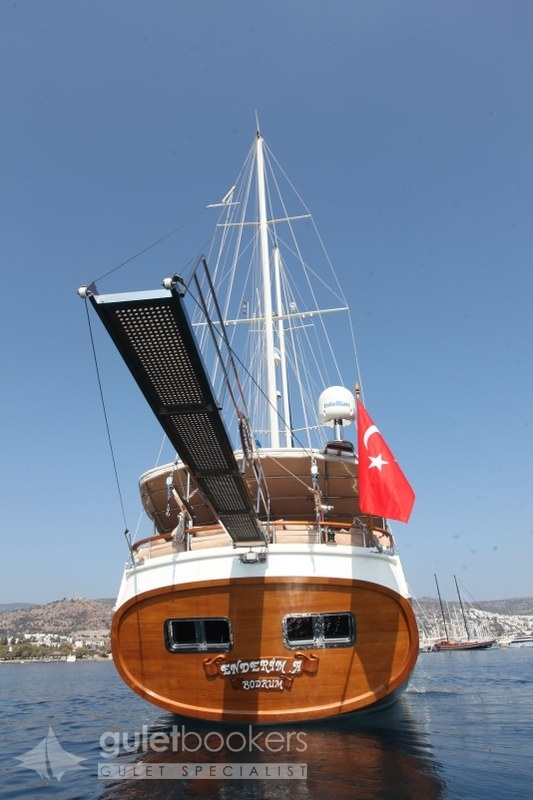 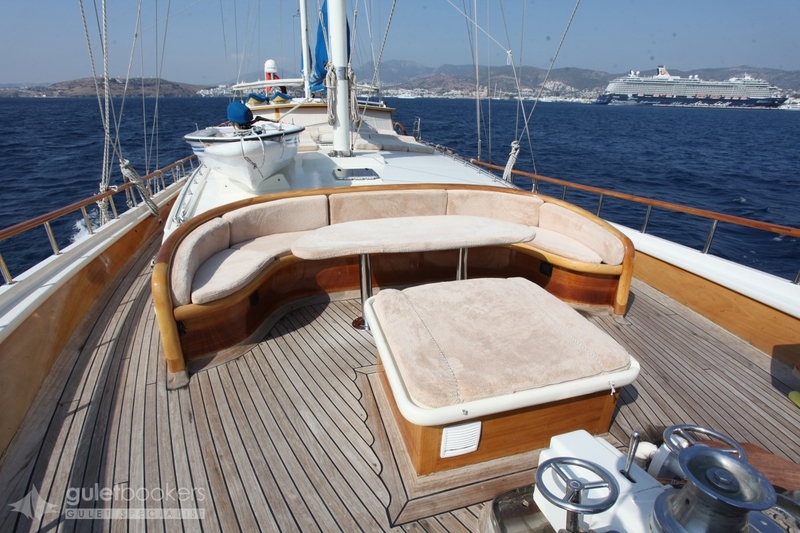 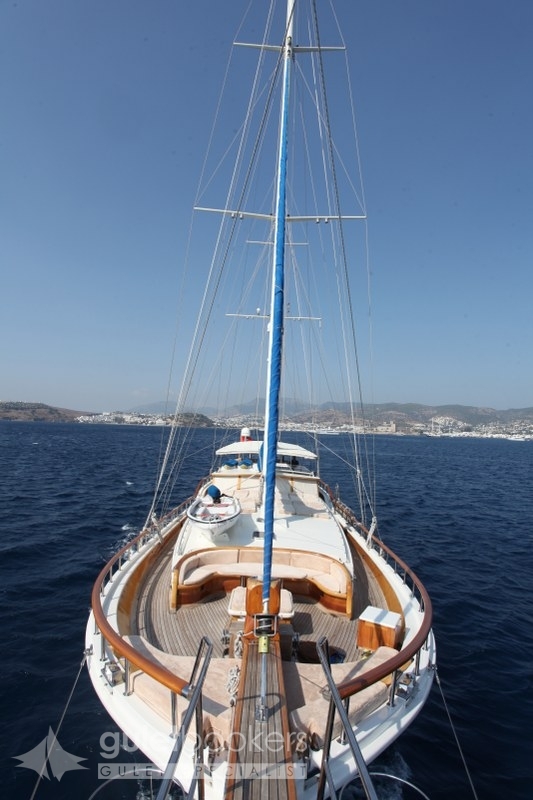 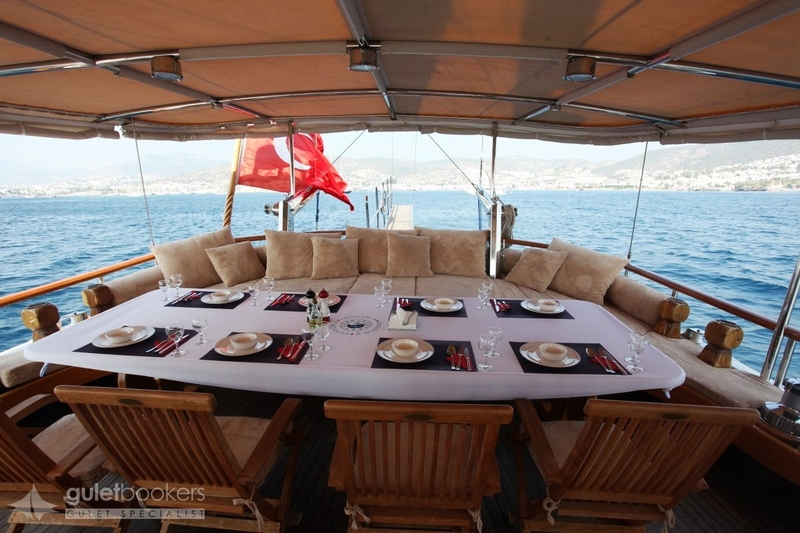 A gulet cruise charter on the classic wooden yacht,the deluxe Enderim A, is made unique with the experience and personal touch of the owner captain Hasan, who has brought so many happy guests back to Bodrum Harbour. 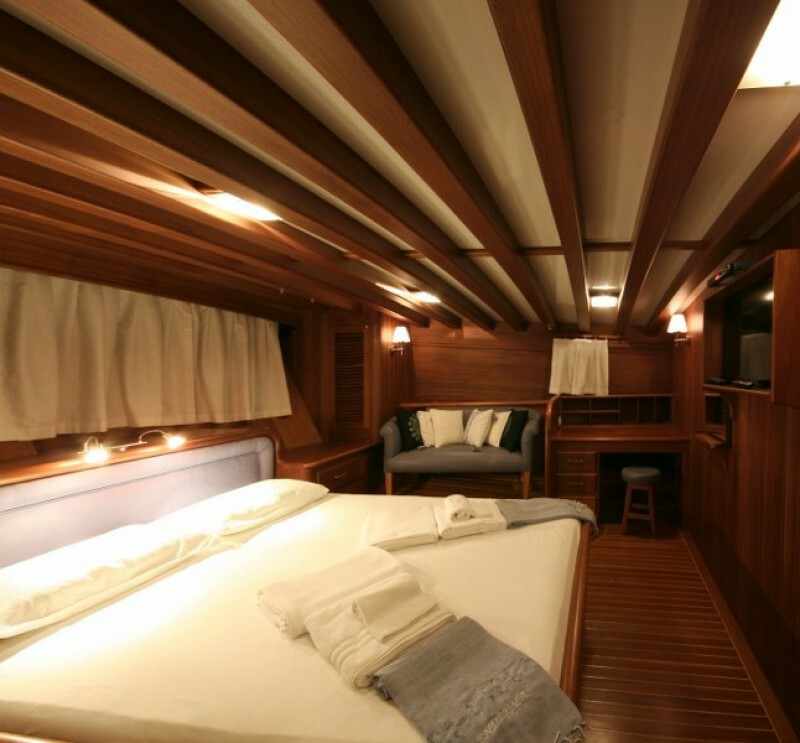 With the know-how from building earlier gulet yachts, the family has combined a simple practical design of space with understated elegance of wood finished cabins and saloon. 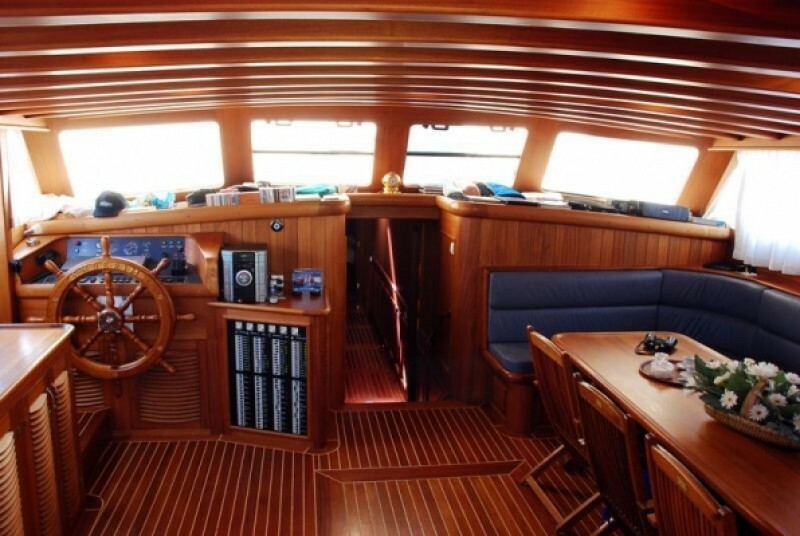 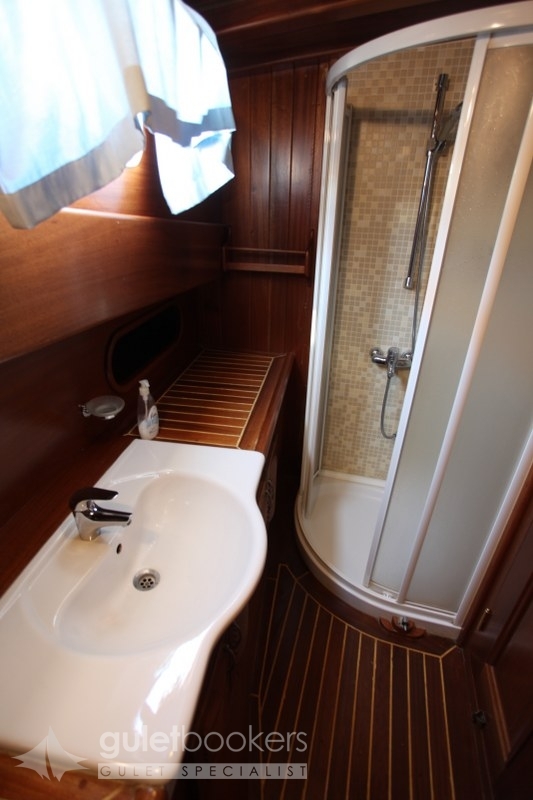 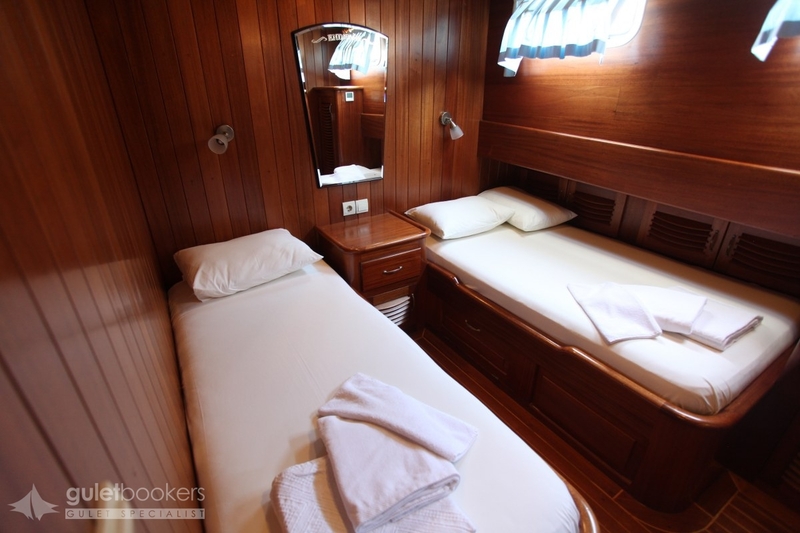 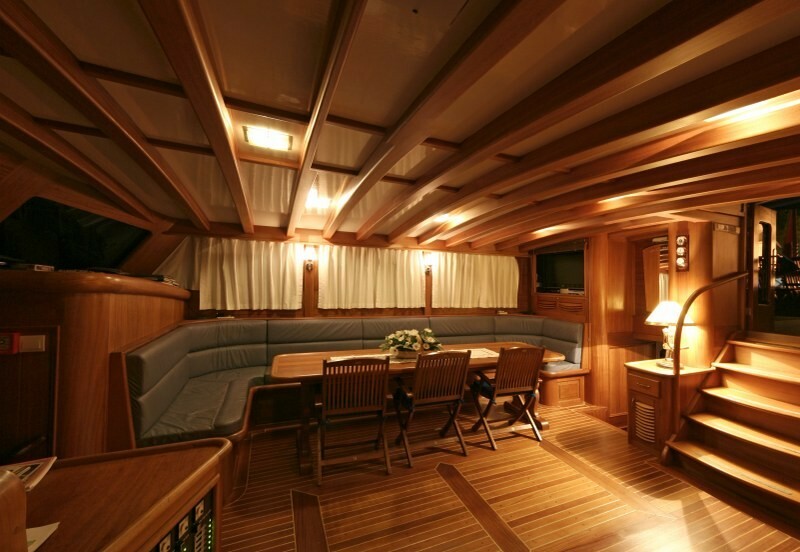 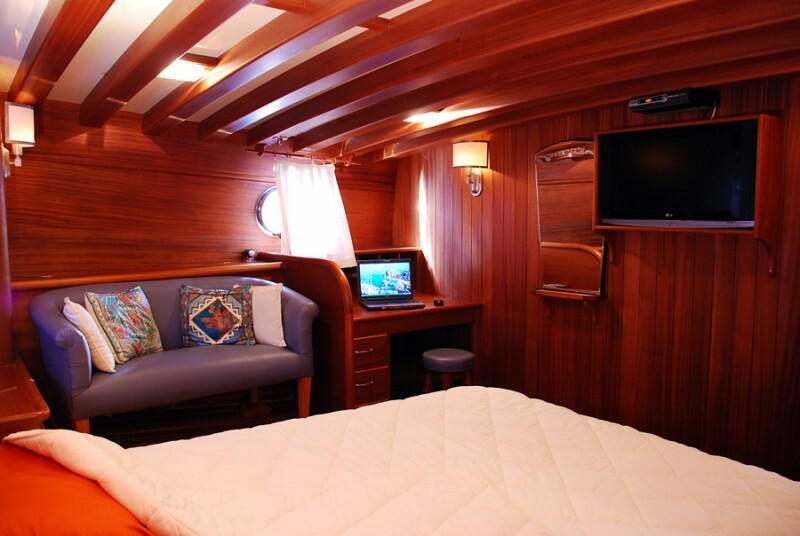 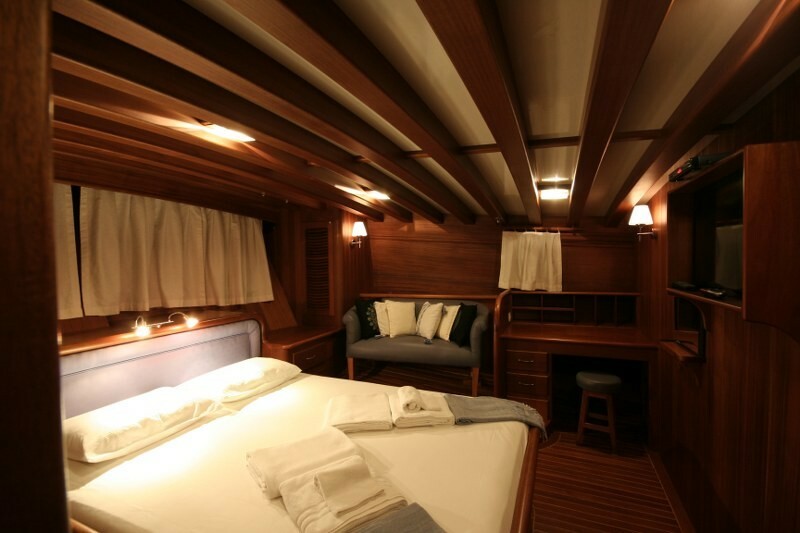 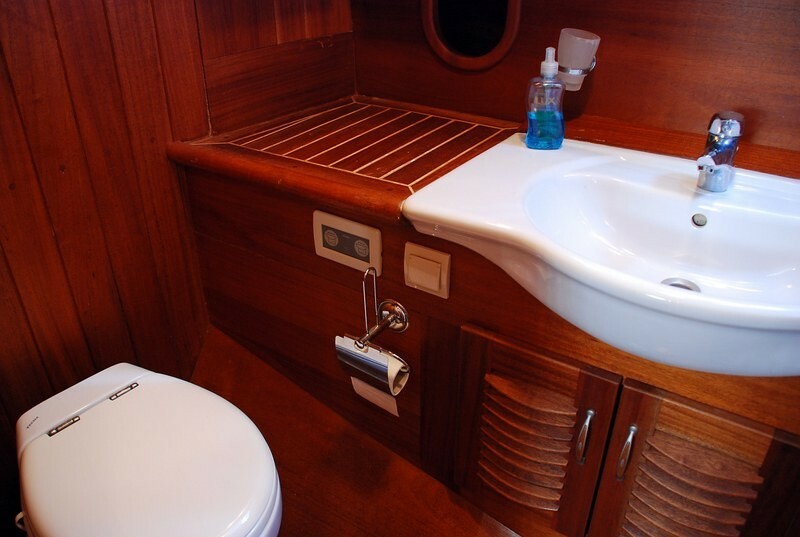 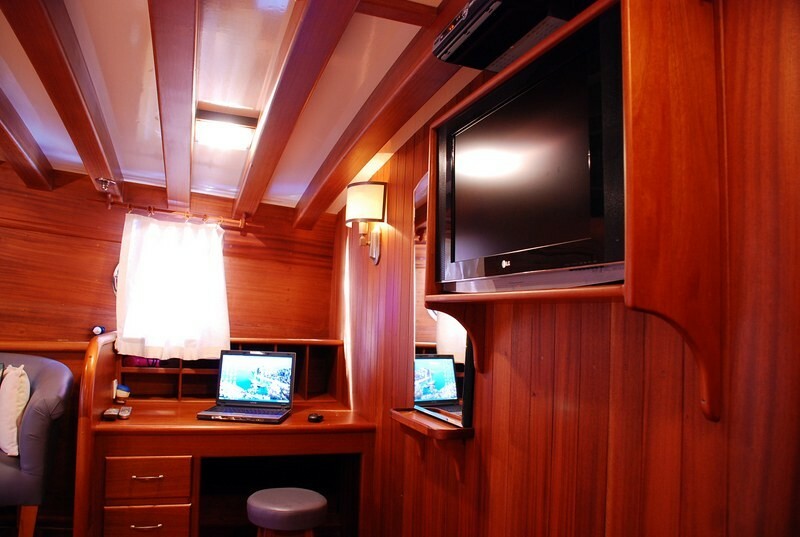 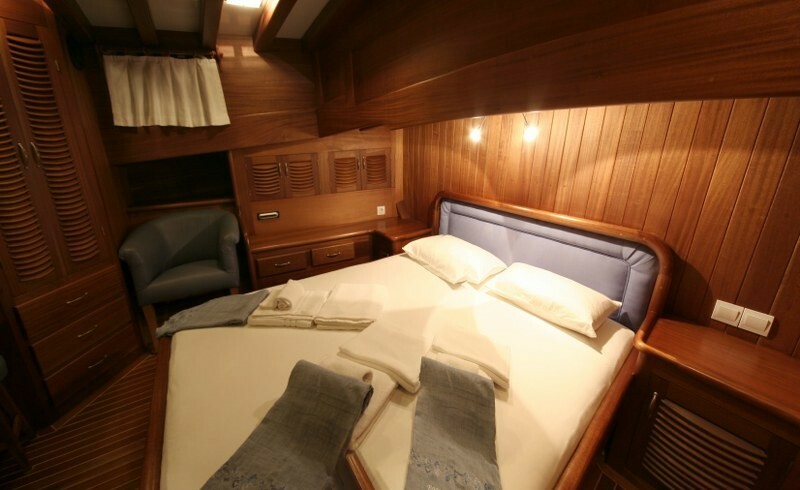 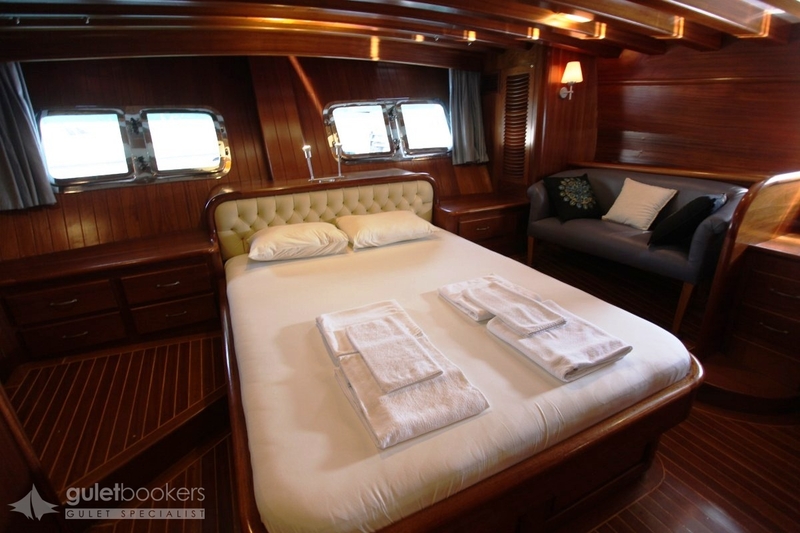 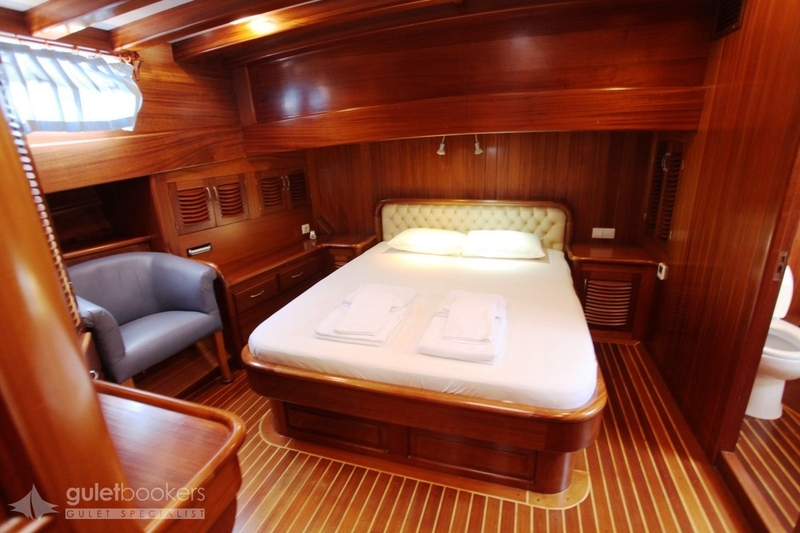 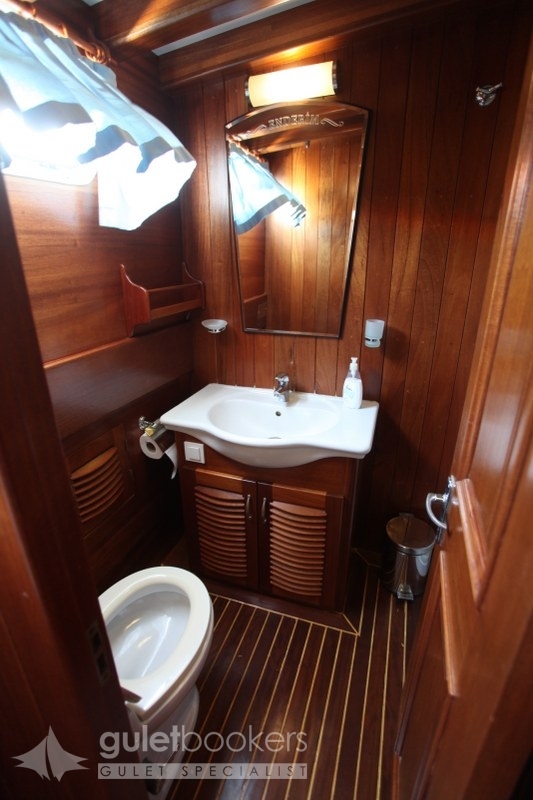 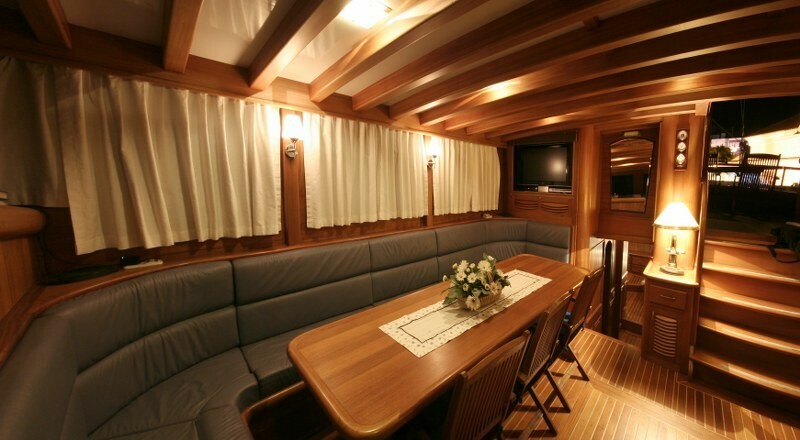 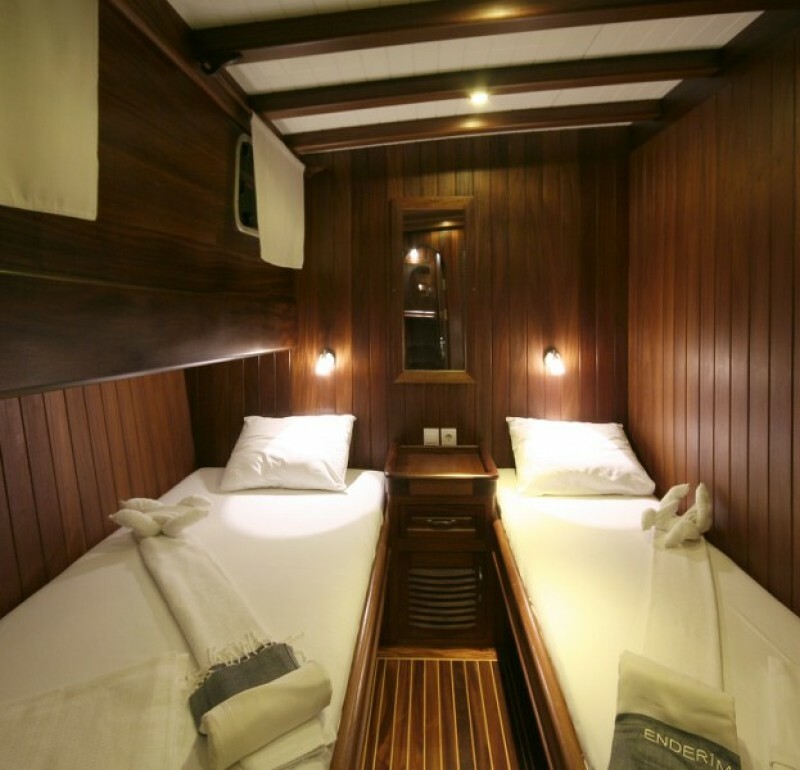 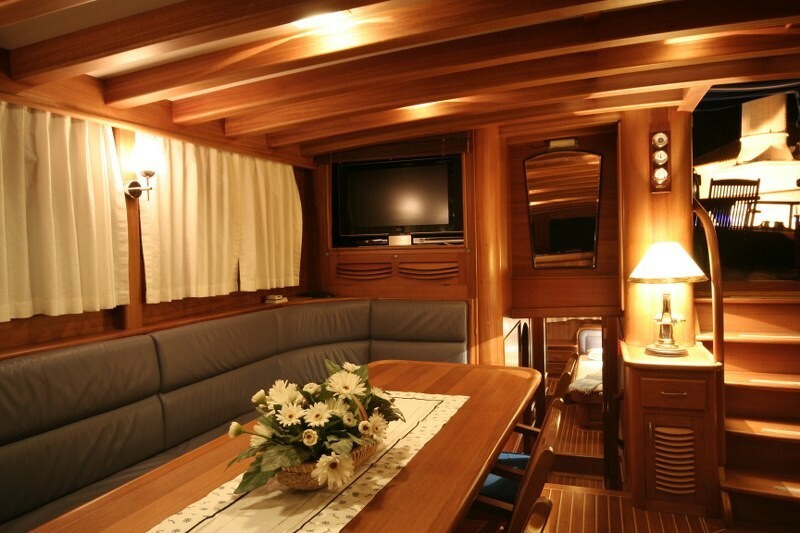 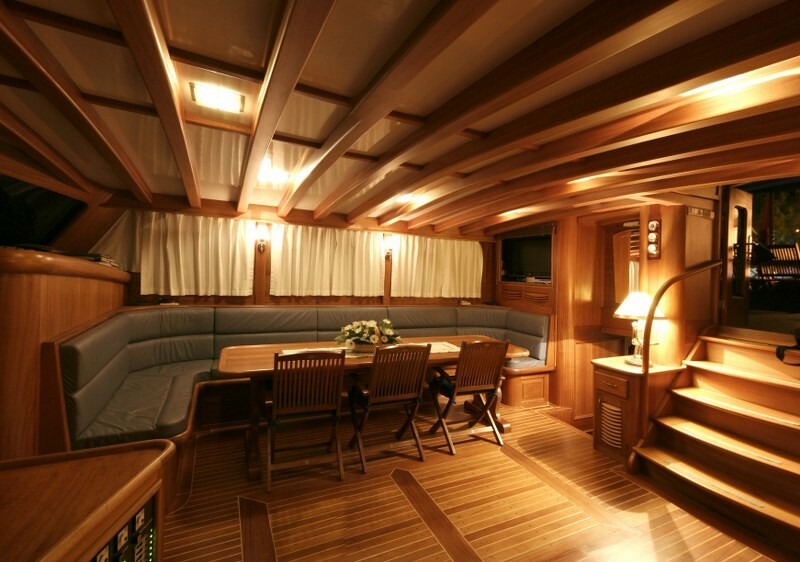 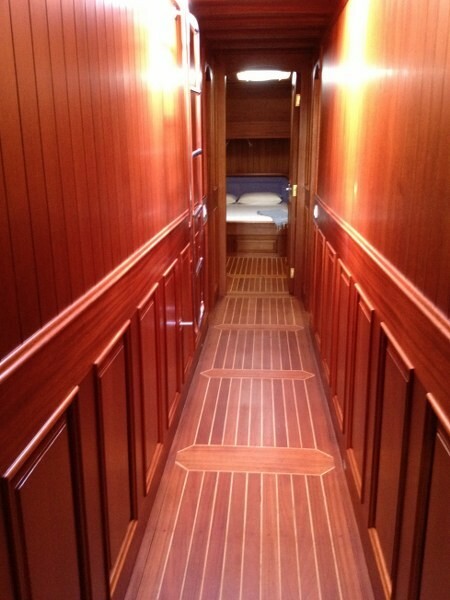 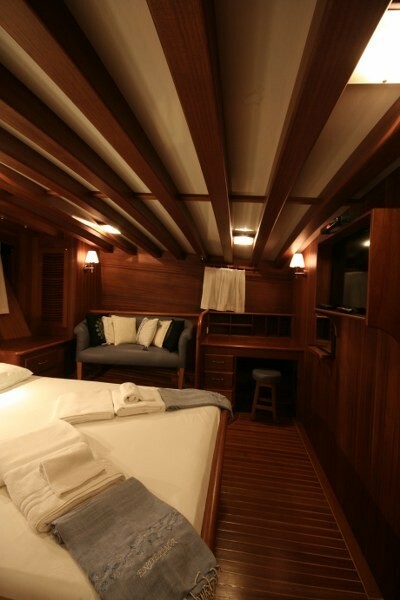 Extra features of the TV, DVD and music system in the saloon, and an extra TV in the master cabin, wireless connected laptop, two canoes, snorkels and a powerboat for water sports offers activity for everyone aboard. 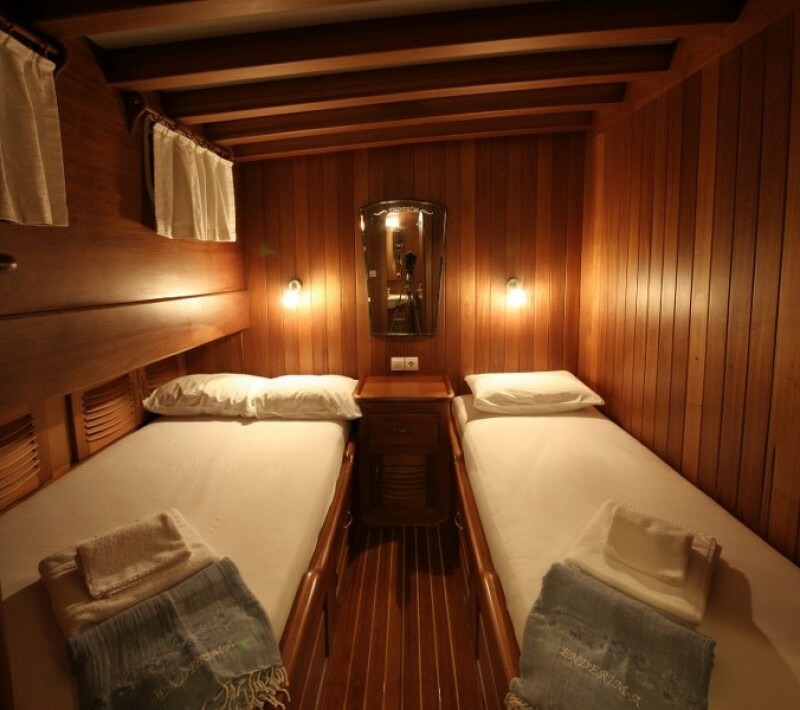 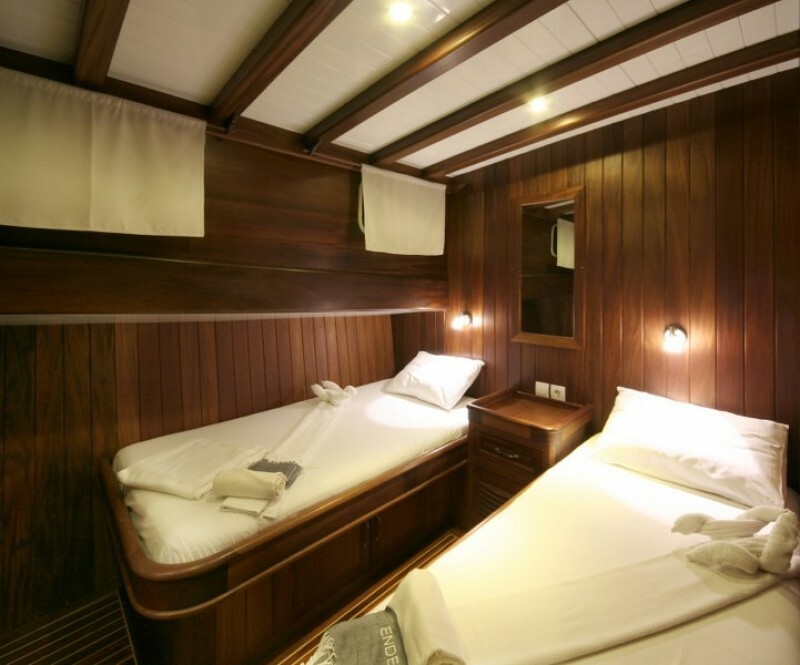 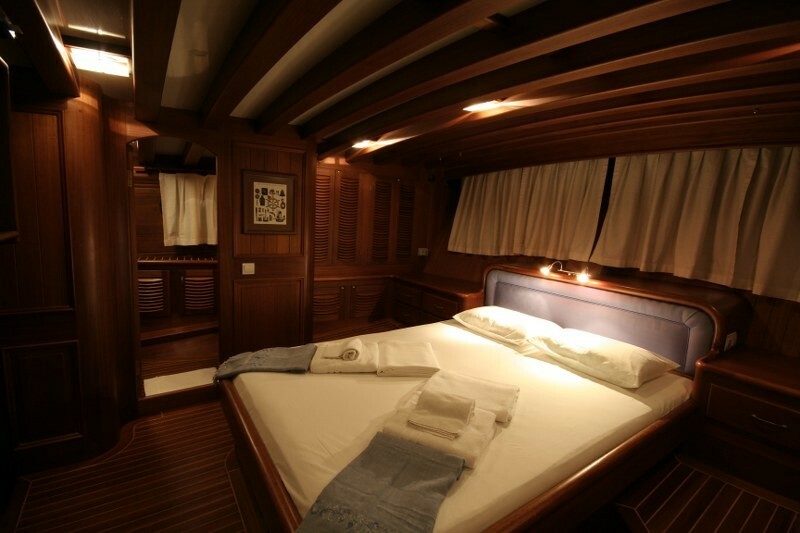 Luxury gulet Enderim A offers the spacious two master cabins and four double cabins each with their own well-designed bathrooms give all the privacy and comforts of home.A group of up to twelve friends or family is fully catered for with indoor and alfresco dining tables, a full complement of sunbeds and cushions, and a very well equipped kitchen and bar. 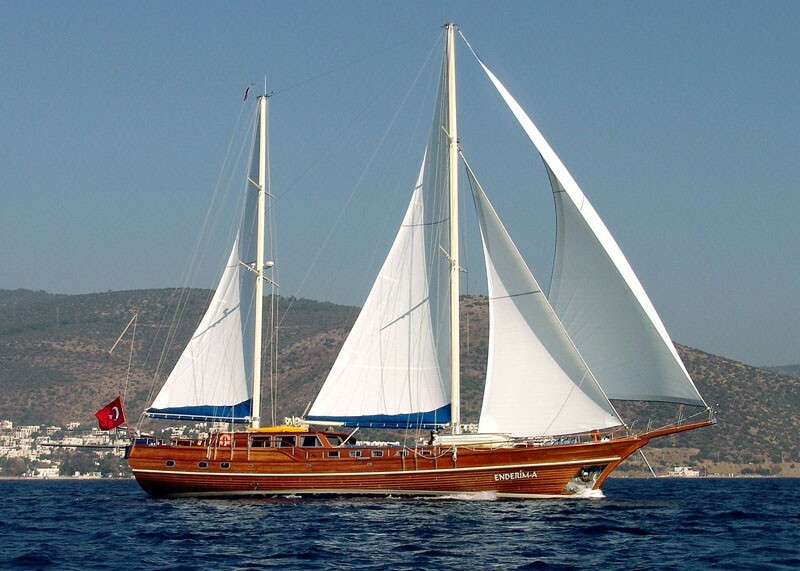 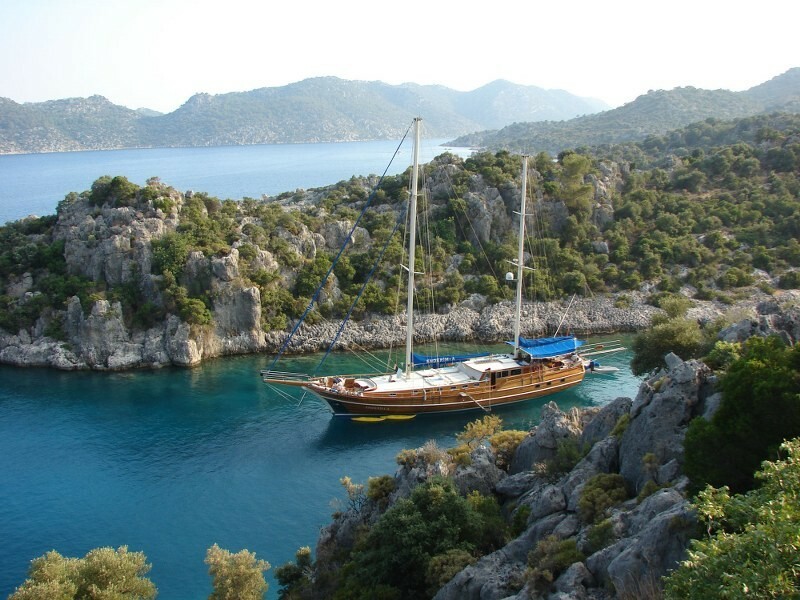 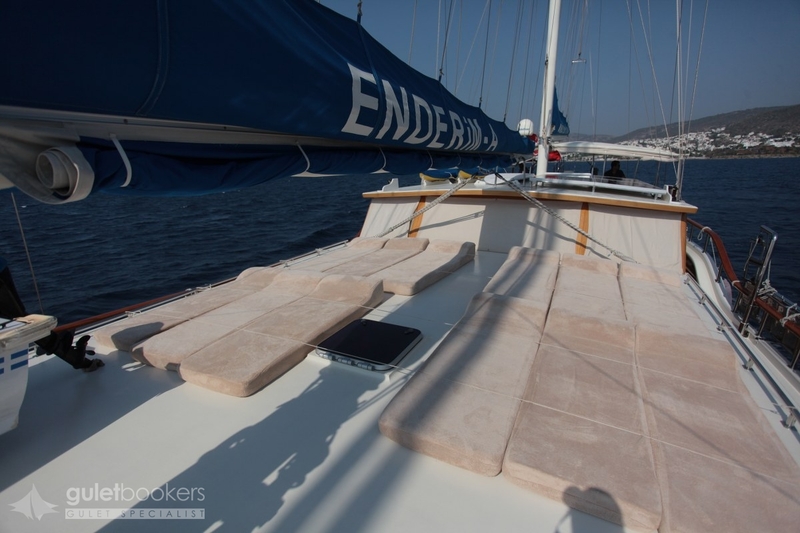 The Enderim A gulet yacht is made for exceptional cruise holidays along the Turkish coast which the Captain knows so well. 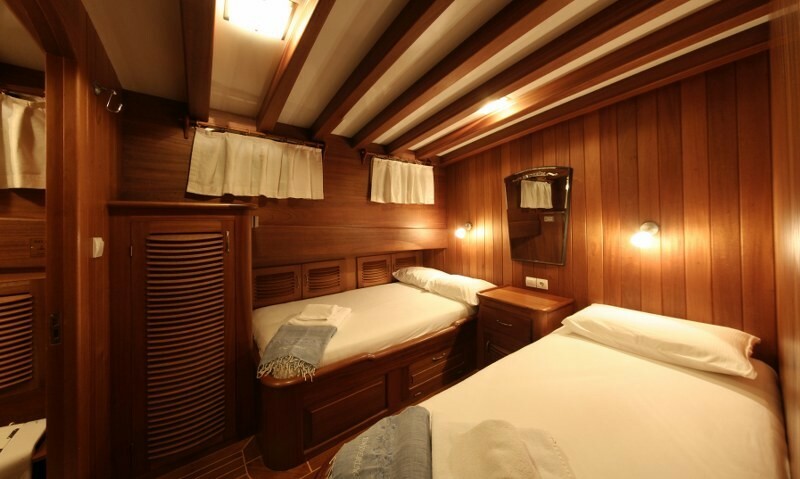 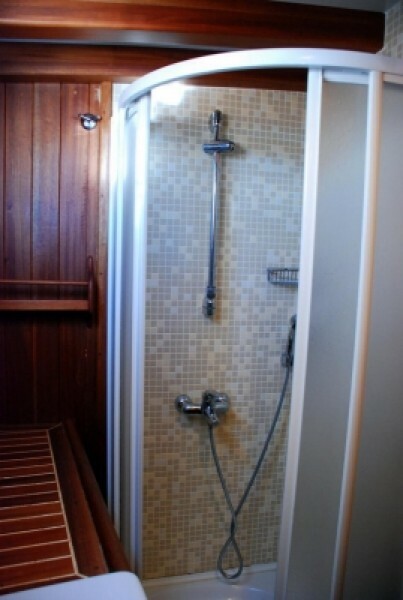 Relax with your holiday in the best hands!